When we hear we’re going to be an auntie, one of the first things we want to know is what the baby’s name will be. Will the baby be named after a loved one? Will the name be trendy? And of course, most importantly—will Savvy Auntie approve? 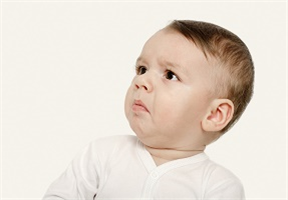 Etiquette is necessary when taking on the testy topic of baby names. Laura Wattenberg, author of The Baby Name Wizard: A Magical Method for Finding the Perfect Name for Your Baby, offers some advice. When you first hear the proposed name of a niece or nephew, make sure whether this is the parents telling you the name or asking your opinion on it. Hearing the name is not an automatic invitation to share your opinion. If you say you don’t like the name, you’ll probably hurt their feelings. And that’s not savvy. Be sensitive, and remember that once the name is given, there is no choice but to say, “How lovely!” After all, you will love this child regardless of his or her name. In the end, it probably doesn’t matter as much as you think it does right now.